Mollusk (clam) **Scroll to the bottom of the page. The last four photos of shells are examples of this type of organism. 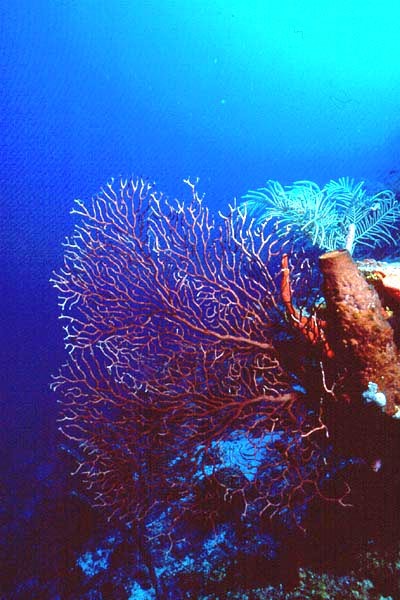 This sea fan is a soft coral or Gorgonid, which has neither a calcareous skeleton, nor photosymbionts. Gorgonids like to attach to firm substrates with high energy, such as reefs.